A Russian Army T-90 main battle tank. Russia confirmed that they completed delivery of 64 T-90S/SK main battle tanks to Vietnam, which corroborated with earlier confirmation from the Vietnam People's Army (VPA) that they received two shipments of the T-90 tanks. Vietnam ordered the tanks in 2016, and was said to have been delivered in accordance to the original schedule. 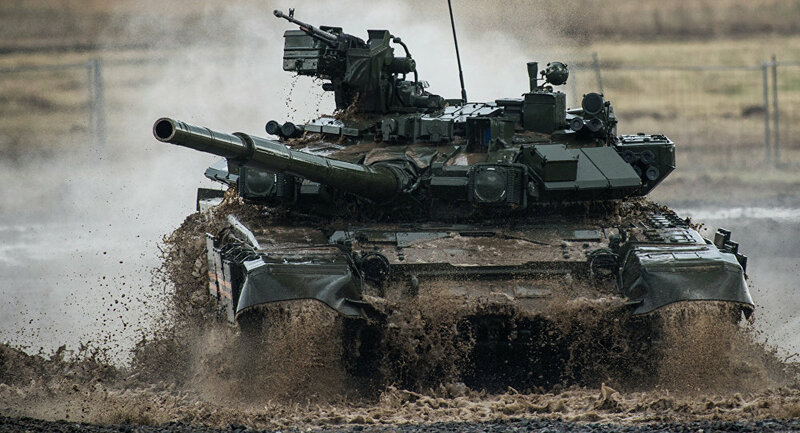 The first batch of tanks arrived on December 2018, and the second bath on February 2019. These tanks will replace older tanks in the VPA including Chinese-made Type 59 and several Soviet T-54 tanks that did not undergo VPA's upgrade program for the type. It is expected that these tanks will be assigned on army units facing China in the northernmost part of the country, as the T-90S/SK are currently the most modern tank in VPA service. The T-90S and SK variants are equipped with the Kontakt-5 explosve reactive armor, and a turret mounted missile countermeasures system. The SK variant is a Command version of the T-90S.